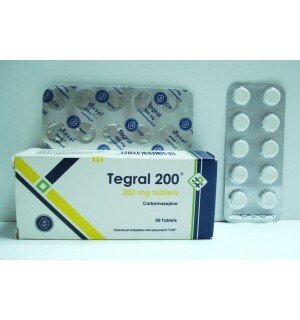 Tablets containing 25 mg, 50 mg or 100 mg of Atenolol Ph. Eur. Injection for intravenous use presenled as an isotonic, citrate buffered, aqueous solution, oontaining 5 mg 01 Atenolol Ph. iv) Myocardial infarction. Early and late intervention. The dose must always be adjusted to individual requirements of the patients, with the lowest possible starting dosage. The following are guidelines. One tablet daily. Most patients respond to 100 mg daily given orally as a single dose. Some patients, however, will respond to 50 mg given as a single daily dose. The eHect will be fully established aHer one to two weel<s. A further reduction in blood pressure may be achieved by combining Tenormin with other antihyperten~ve agents. For example, administration of Tenormin with a diuretic, provides a highly eHective and convenient antihypertensive therapy. Most patients with angina pectoris will respond to 100 mg given orally once or 50 mg given twice daily. It is unlikely that additional benefit will be gained by increasing the dose. A suitable initial dose of Tenormin is 2.5 mg (5 ml) injected intravenously over a 2.5 minute period (i.e. 1 mgiminute). This may be repeated at 5 minute intervals until a response is observed, up to a maximum dosage of 10 mg. If Tenormin ts given by intusion, 0.15 mglkg bodyweight may be administered over a 20 minute period. If required, the injection or infusion may be repeated every 12 hours. Having controlled the arrhythmias with intravenous Tenormin, a suitabte oral maintenance dosage is 50- 100 mg daily, given as a single dose. Early intervention after acute myocardial infarction: For patients suitable for treatment with intravenous beta-blockade and presenting within 12 hours of the onset of chest pain, Tenormin 5-10 mg should be given by slow intravenous injection (1 mglminute) followed by Tenormin 50 mg orally about 15 minutes later, provided no untoward eHects have oocurrec from the intravenous dose. This should be followed by a further 50 mg orally 12 hours aHer the intravenous dose and then 12 hours later by 100 mg orally, once daily. If bradycardia and/or hypotension requiring treatment, or any other untoward effects occur, Tenormin should be discontinued. 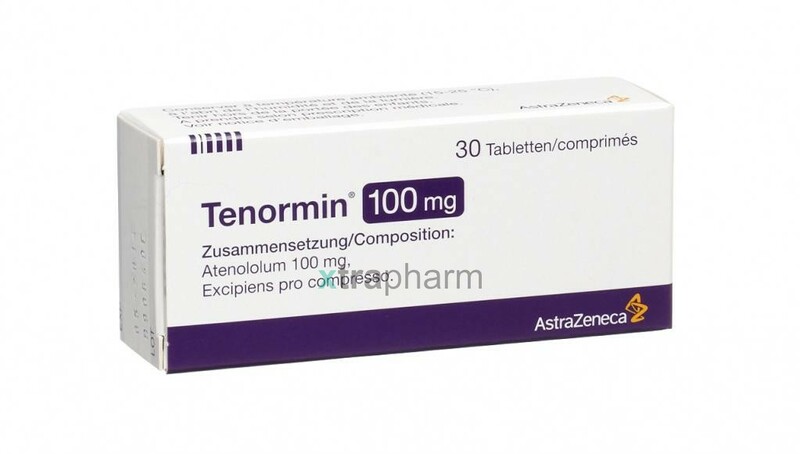 late intervention aHer acute myocardial infarction: For patients who present some days alter suffering an acute myocardial infarction an oral dose of Tenormin (100 mg daily) is recommended for long-term prophylaxis of myocardial infarction. There is no paediatric experience with Tenormin and for this reason it is not recommended for use in children. m’ (normal range is 100·150 mVminl1.73 m’). the oral dose should be 50 mg daily and the intravenous dose should be 10 mg once every two days. For patients with a creatinine clearance of <15 mVminll.73 m2 (equivalent to serum creatinine of >600 micromoVl~re) the oral dose should be 25 mg daily or 50 mg on aftemate days and the intravenous dose should be 10 mg once every four days. Patients on haemodialysis should be given 50 mg orally after each dialysis; this should be done under hospital supervision as marked falls in blood pressure can occur. the active substance, or any of the excipients; bradycardia «45bpm); cardiogenic shock; hypotension; metabolic acidosis; severe peripheral arterial Circulatory disturbances; second or third degree heart block; sick sinus syndrome; untreated phaeochromocytoma unoontroiled heart failure. reduction in beta-blocker dosage. Patients should be followed during withdrawal, especially those with ischaemic heart disease. – when a patient is scheduled for surgery, and a decision is made to discontinue beta-blocker therapy, this should be done at least 24 hours prior to the procedure. The risk-benefit assessment of stopping beta-blockade should be made for each patient. if treatment is continued, an anaesthetic with little negative inotropic activi1y should be selected to minimise tha risk of myocardial depression. The patient may be protected against vagal reactions by intravenous administration of atropine. – although contraindications in uncontrolled heart failure may be used in patients whose signs of heart failure have been controlled. Caution must be exercised in patients whose cardiac reserve is poor. – may increase the number and duralion of angina attacks in patients with Prinzmetal’s angina due to unopposed alpharecaptor mediated coronary artery vasoconstnction. Tenormin is a beta,·selective beta-blocker; consequently, its use may be considered anhough utmost caution must be exercised. – although contraindicated in severe peripheral arterial circulatory disturbances (see Conlraindicalions), may also aggravate less severe peripheral arterial circulatory disturbances. – due to M negative eHect on conduction time, caution must be exercised ff it is given to patients with first degree heart block. – may mask the symptoms of hypoglycaemia, in particular, tachycardia. – may mask the signs of thyrotoxicosis. – will reduce heart rate, as a result of its pharmacological action. In the rare instances when a treated patient develop symptoms which may be attributable to a slow heart rate and the pulse rate drops to less than 50-55 bpm at rest, the dose should be reduced. – may cause a more severe reaction to a variely of allergens, when given to patients with a history of anaphylactic reaction to such allergens. Such patients may be unresponsive to the usual doses of adrenaiine used to treat the allergic reactions. – may cause a hypersensitivity reaction including angioedema and urticaria. – should be used with caution in the elderly, starting with a lesser dose (see Posology and method of adminislration). Since Tenormin is excreled via the kidneys, dosage should be reduced in patients wrth a creatinine clearance of below 35 ml /min/1.7 m2. – although cardioselectiive (beta,) beta-blockers may have less effect on lung function than non·selectiive belll-bIockers, as with all, beta -blockers, these should be avoided in patients with reversible obstructive airways disease, unless there are compelling clinical reasons for their use. Where such reasons exist, Tenormin may be used with caution. 0ccasionally, some increase in airways resistance may occur in asthmatic patients, however, and this may usually be reversed by commonly used dosage of bronchodilators such as salbutamol or isoprenaline. As with other beta-blockers, in patients withh a phaeochromocytoma, an alpha-blocker shoufd be given concomitantly. – Combined use of beta-blockers and calcium channet blockers with negative inotropic effects e.g. verapamil, diltiazem can lead to an exaggeration of these eHeeIs particularly in patients with impaired ventricular function and/or sino-atrial or atrioventricular conduction abnormalities. This may result in severe hypotension, bradycardia and cardiac failure. Nerther the beta-blocker nor the calcium channel blocker should be administered intravenou~ within 48 hours of disoontinuing the other. – Concomitant therapy with dihydropyridines e.g. nrredipine, may increase the risk of hypotension, and cardiac failure may occur in patients with latent cardiac insufficiency. – Digitalis glycosides, in association with beta-blockers, may increase atria-ventricular conduction time. – Beta-blockers may exacerbate the rebound hypertension, which can follow the withdrawal of ctonidine. If the two drugs are co -administered, the beta-blocker should be withdrawn several days belore discontinuing ctonidine is replacing ctonidine by beta-blocker therapy, the introduction 01 beta-blockers should be delayed for several days aHer cIonidine administration has stopped. (See also prescribing information for clonidine). – Class I ant”arrhythmic drugs (e.g. disopyramide) and amiodarone may have a potentiating effect on alriakonduction time and induce negative inotropic effect. – Concomitant use of sympathomimetic agents, e.g. adrenaline, may counteract the effect of beta-blockers. – Concomitant use with insulin and oral antidiabetic drugs may lead to the intensification of the blood sugar lowering effects of these drugs. Symptoms at hypoglycaemia, particularly tachycardia, may be masked (see Special wamings and precautions for use). – Concomitant use of prostaglandin synthetase inhibiting drugs (e.g. ibuprofen, iodometllacin), may decrease the hypotenSive effects of beta-blockers. – Caution must be exercised when u~ng anaesthetic agents with Tenormin. The anaesthetist should be informed and the choice of anaesthetic should be an agent wilh as little negative inotropic activity as possible. Use of beta·blockers with anaesthetic drugs may result in allenuation 01 the reflex tachycardia and increase the risk of hypotension. Anaesthetic agents causing myocardial depression are best avoided. tenormin crosses the placental barrier and appears in the cord blood no studies have been performed on the use of tenormin in the first trimester and the possibility of foetal cannot be excluded tenormin has been used under close supervision for the lrealmenl of hypertension in Ihe third trimester. Administration of Tenoonin to pregnant women in the management of mild to moderate hypertension has been associated with intrautenne growth retardation. The use of Tenoonin in women who are, or may become, pregnant requires that the anticipated benefit be weighed against the possible asks, particularty in the first and second tnmesters, since beta-blockers, in general, have been associated with a decrease in placental pertusion which may resual in intra-utenne deaths, immature and premature delivenes. There is significant accumulation of Tenormin in breast milk. Neonates bom to mothers who are receiving Tenoonin at parturition or breast-feeding may be at nsk of hypoglycemia and bradycardia. caution should be exercised when Tenoonin is administered dunng pregnancy or to a woman who is breast-feeding. Use is unlikely to result in any impairment of the ability of patients to dOve or operate machinery. However rt should be taken into account that occasionally dizziness or fatigue may occur. Tenoonin is well tolerated. In clinical studies, the undesired events reported are usually attributable to the pharmacological actions of atenotol. The following uneesired events, listed by body system, have been reported with the following frequencies: Very common (” 10%), common (1- 9.9%), uncommon (0.1- 0.9%), rare (0.01- 0.09%), very rare « 0.01%) including isolated reports. Rare: Heart failure detenoration, precipitation of heart block. Rare: Postural hypotension which may be associated with syncope, inteoninent claudication may be increased if already present, in susceptible patients Raynaud’s phenomenon. Uncommon: Sleep disturbances of the type noted with other beta blockers. Rare: Mood changes, nighlmares, confusion, psychoses and hallucinations. Uncommon: Elevations of transaminase levels. Very rare: An increase in ANA (Antinuclear Antibodies) has been observed, however the clinica relevance of this is not clear. Rare: Alopecia, psonasnonn skin reactions, exacertlation of psoriasis, skin rashes. Rare: Dry eyes, visual disturbances. Rare: Bronchospasm may OCCtJ.l.in patients with bronchial asthma or a history of asthmatic complaints. Disoonhnuance of the drug should be considered rt, according to clinical judgement, the well-being of the patient is adversely affected by any of the above reactions. micrograms/kg/minute by intravenous infusion may be given. Dobutamine, because of its positive inotropic effect could also be used to treat hypotension and acute cardiac insufficiency. It is likely that these doses would be inadequate to reverse the cardiac effects of beta-blocker blockade rt a large overdose has been taken. The dose of dobutamine should therefore1le increased1f necessary to achieve the requiroo response according to the clinical common ofter patiei1l. Bronchospasm can usually be reversed by bronchodilators. Atenolol is a beta-blocker which is beta,-selective (i.e. acts preferentially on beta,-adrenergic recaptors in the heart). Selectivity decreases with increasing dose. Atenolol is without infrinsic sympathomimetic and membrane stabilising activrties and as with other beta-blockers, has negative inotropic effects (and is therefore contraindicated in uncontrolled heart failure). As with other beta-blockers, the mode of action of atenolol in the trealment 01 hypertension is unclear. It is probably the action of atenolol in reducing cardiac rate and contractilily which makes it effective in eliminaling or reducing the symptoms of patients wrth angina. It is unlikely that any additional ancillary properties possessed by S (-) atenolol, in comparison with the racemic mixture, will give nse to different therapeutic effects. Tenoonin is effective ane well-tolerated in most ethnic populations allhough the response may be less in black patients. Tenoonin is effectve for at least 24 hours after a single oral dose. The drug facilitates compliance by rts aoceptability to patients and simplicity of dosing. The narrow dose range and earty patient response ensure that the effect of the drug in individual patients is quickly demonstrated. Tenoonin is compatible with diuretics, other hypotensive agents and antianginal agents (see Interachons)_Since it acts preferentially on beta-reoeptors in the heart, Tenonnin may, wrth care, be used successfully in the treatment of patients with respiratory disease, who cannot tolerate non-selective beta-blockers. Early intervention with Tenoonin in acute myocardial infarction reduces infarct size and decreases mortJidity ane mortalrty. Fewer pa1ients with a threatened infarction progress to frank infarction; the incidence of ventricular arrhythmias is decreased and marked pain relief may resual in reduced need of opiate analgesics. Early mortalrty is decreased. Tenoonin is an additional trealment to standard coronary care. concentrations occurring 2- 4 hours after dosing. The atenotoi blood levels are consistent and subject to little variability. There is no signrticant hepatic metabolism of atenolol and more than 90% of that absorbed reaches the systemic circulation unallered. The plasma hart-life is about 6 hours but this may nse in severe renal impaionent since the kidney is the major route of elimination. Atenolol penetrates tissues poorly due to its low lipid solubility and rts concentration in brain tissue is low. Plasma protein bineing is low (approximately 3%). Tenormin Injection is compatible with sodium chloride intravenous infusion (0.9%w/v) and Glucose Intravenous Infusion BP (5%w/v). Piease refer to expiry date on the blister strip or outer carton. Tenormin Tablets: Do not store above 25’C. Protect from light and moisture. Tenoonin Injection: Do not store above 25’C. Protect from light.